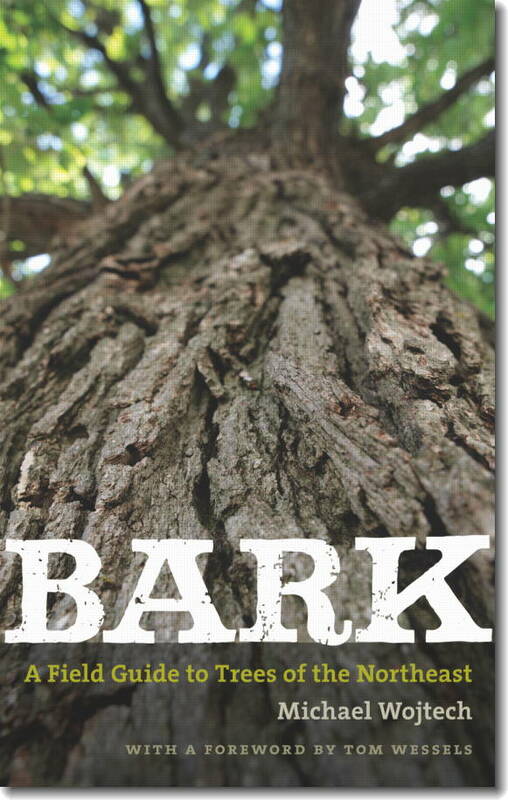 Bark: A Field Guide to Trees of the Northeast, by Michael Wojtech, 2011. This excellent field guide focuses on identifying 67 native and naturalized tree species by their bark - a feature that can be observed year-round. The species accounts include color photos of bark from both young and mature trees, as well as leaf outlines, branch patterns and range maps. Also includes fine introductory sections on bark structure, types and ecology. Includes 434 illustrations (283 in color) and 65 maps. 280 pp., 5 1/2" x 8 3/4."